.. / .-...-.-...-..-.-- / .--.--.- / ---- / --.--.-. / .- / -.-..---..-.. / .--..--.--....-. / .-----. / ---.- / .--. / ..... / ...--.....- / -....-.-...-..
Edited by Alphatriton, 02 December 2016 - 04:47 AM. Hello, I would like to know if we can get the ornament back. I have an ornament that I put in my tree every year, and its an SU-152. I hand made it, and am proud of it. So I would like to know if i will get it back if i send it. Contest entries become property of WG and do not get mailed back. Can it be 3d printed? In one section at the rules, it says ages 13 up. In the fine print, it says 18. Which is it? 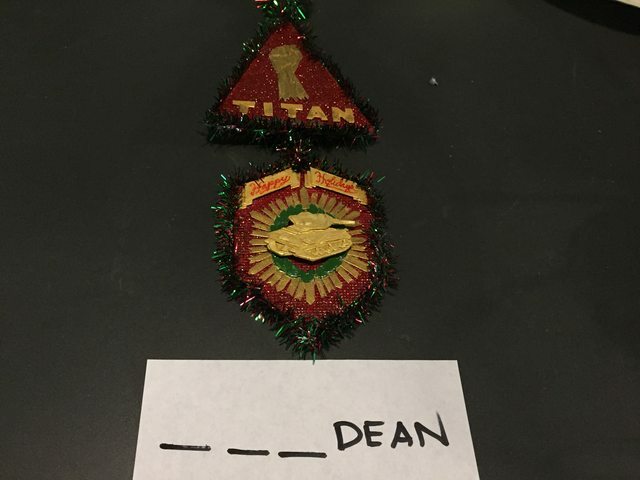 So do I have just finished my ornament and I I can't figure this out, do I just mail it and if I win you keep it and if I lose I get it sent back OR do I post a pic of it and then if WG likes it I mail it? Its a Christmas gift from you to WG, win or lose they keep it. The spirit of giving. I hope you guys use different parameters for judging the winners this time around. I don't think we should be able to use tank kits or premade tank models. Last years winner stuck a premade medal tank model into a clear ball and won. It looked cool but it wasn't very creative nor was there much effort. Choose a winner who "creates" something out if nothing. Choose a winner with actual artistic skill. Good luck to everyone. And thank you guys for the help! I appreciate it! Niko, how about rewarding all participants with something small? 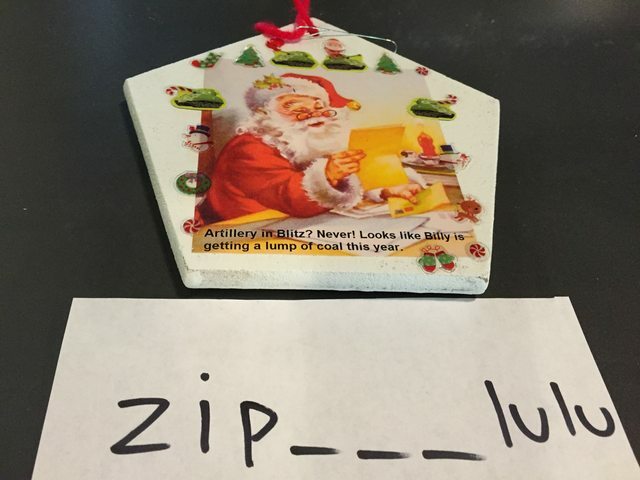 It would a) show that you appreciated their ornament, b) encourage more people to participate, and c) be a little reimbursement for the shipping everyone has to pay. I'm not sure what shipping costs are, but maybe a couple days premium or some gold would make people more willing to try the contest out. What if I'm good at making paper models. But I can't send that in. What should I do!? Can the wargaming logos be used with permission on entries. If so, do we have permission? FYI- Last Year's Winners (for Reference). 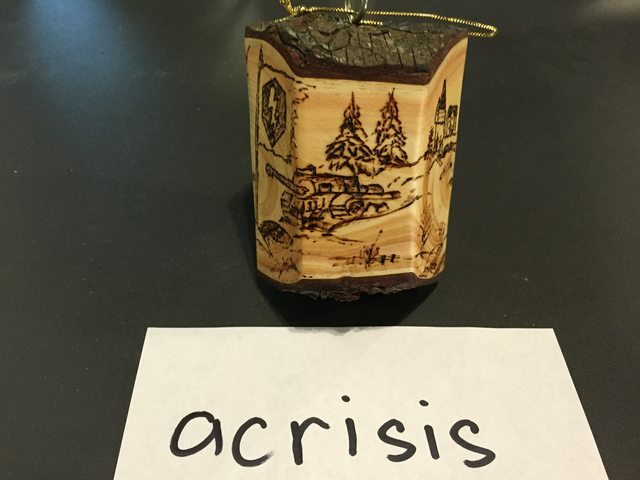 Acrisis was the best in my opinion. Impressive. So, I hate to be this guy, but there's kinda a flaw in this contest that can screw over people that don't win. The T54 proto is on sale till Dec. 16. The contest runs (mail by) Dec 14. Means that it'll get there anywhere from 1-7 days. Cut off is Dec 21, then add some judging time (1-2 days depending how many people in the office want to see). So now, 20 people send in their creation, 5 will win (currently), the other 15 now can't get the T54 proto since it's not on sale and they didn't win. See my point? Unless Niko decides to PM the other players after the contest and see if they would still like to buy it if they didn't win and somehow code that those users receive the same bundle. 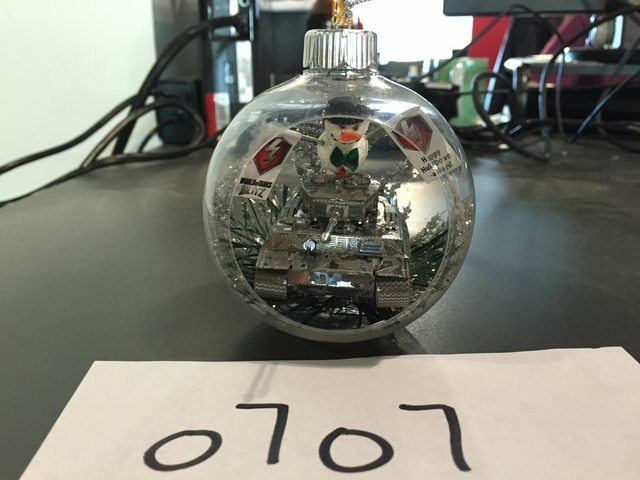 Can we submit an ornament on someone else's behalf as a gift? Yanno, Christmas spirit and all? (assuming of course the person doesn't submit one on their own). It's the season if giving! I'll allow it. Make sure to let me know though. 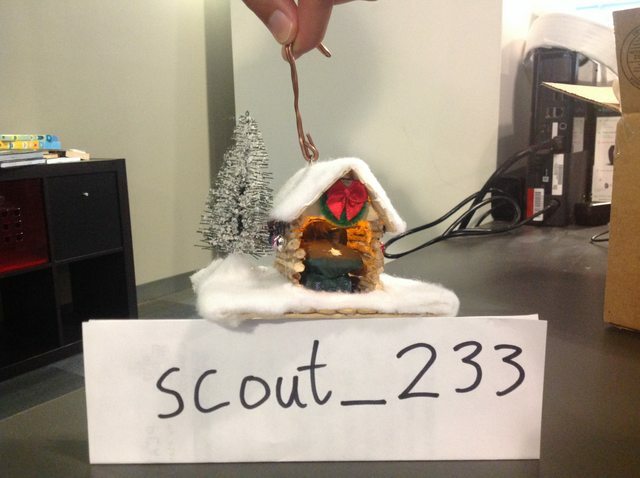 NIko trying to win the office desk decorating contest with some clever outsourcing. It is time for another Star Wars movie. 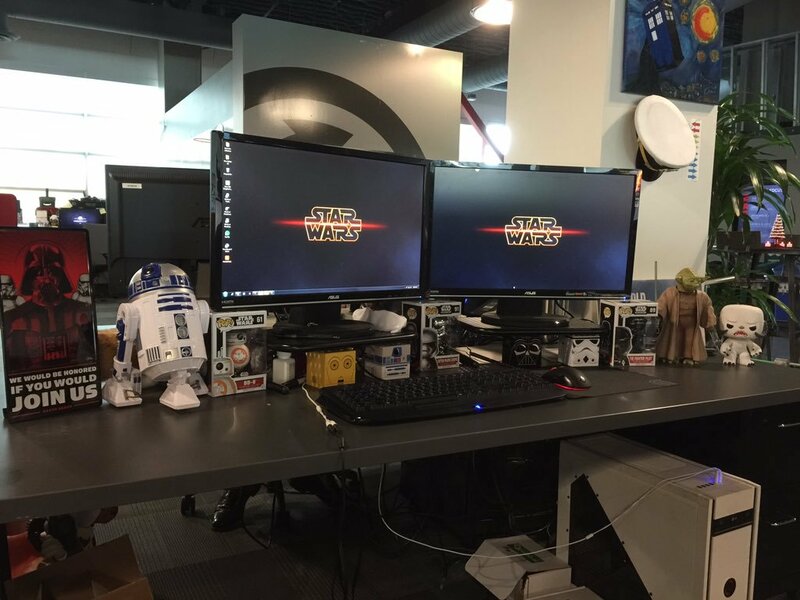 I will be decorating my desk for that. This was last year before I brought in my 12 ArtFX figures as well. Yes it can as long as it leads to something creative. I noticed this just now. It has been taken care of. Very fun! Gotta think this out. WOW... this sounds awesome.. cant wait to see them (ornaments)..
Time to put the thinking cap on & hit the craft store..
Hello, if we buy the tank fearing that we might not win and still submit a ordoment and win the T-54 1st Proto will we get refunded or what?